For the first year in some time, James Cook High has a Workplace Committee and it’s an achievement the school’s Federation Representative Thomas O’Connor is most proud of. “I think the role of Fed Rep is really important, but it can be such a difficult job without the support of a Women's Contact and the Workplace Committee, I feel like they all really go hand in hand,” Mr O’Connor said. “We managed to elect a committee at our school this year. I understand it has been a long time since there was one, so I’m proud of that as well as grateful. It’s important for the staff that it’s a collective responsibility not just the Fed Rep's. Mr O’Connor, who has been the representative since arriving at the Kogarah school close to two years ago, said the role came to him through his interest in the union movement. 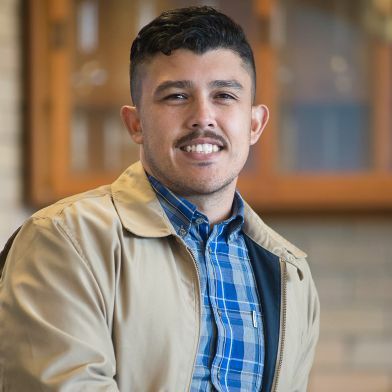 “Originally I took on the role because I was eager to be involved in the union in any capacity, to work with and for my colleagues, to participate in discussions about how we could work together towards improving our workplace to support our students,” he said. “I think people do a lot of the work of a good Fed Rep every day, they just don't know realise it. I enjoy getting around my school into other staff rooms and chatting to my colleagues about their day. With teacher workload being one of the issues he identifies as a concern for his school, along with fair funding for the school community, he had some sage advice to a new teacher. “At the start of this year a beginner teacher joined our faculty, fresh from university,” he said. “A lot of staff members were approaching this person to be involved in committees or to participate in school events. Mr O’Connor sees the union movement as a way to “fight for a better world” with the Fair Funding Now! and the ACTU’s Change the Rules campaigns “so important for public schools, the community and teachers alike”. “I really believe that unions have and always will play such an important role in shaping a fairer and more just society, and I want to be a part of that process,” he said.